If you think about it, a graveyard serves as an excellent backdrop for preaching the gospel. Praise God for His mercy and for His Word. Bijaya (the leader of the Evangelism to Remote Villages project) and his wife and evangelism team set out to a remote village in the mountains of Nepal. 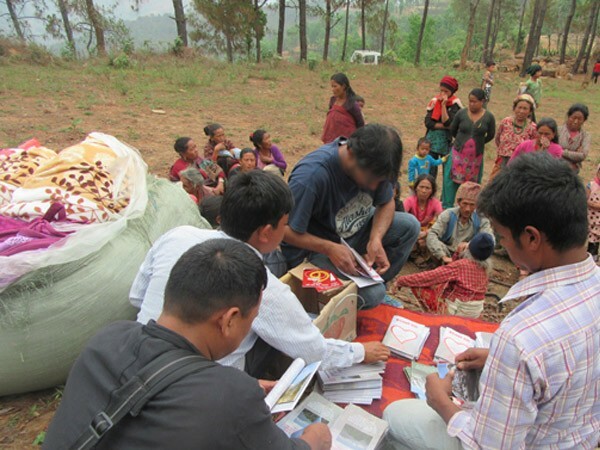 The village leaders invited 108 families to gather in the graveyard to listen to Bijaya's preaching and receive gospel tracts and Scripture. They chose that place because they had leveled it recently, but you can still see the tombstones piled up. What a great experience and metaphorical location for preaching about the ultimate life-giver and conqueror of death—Jesus Christ. After Bijaya's message about the gospel, one elderly man thanked God publicly for saving his life in an earthquake two years ago and for being able to hear the gospel. 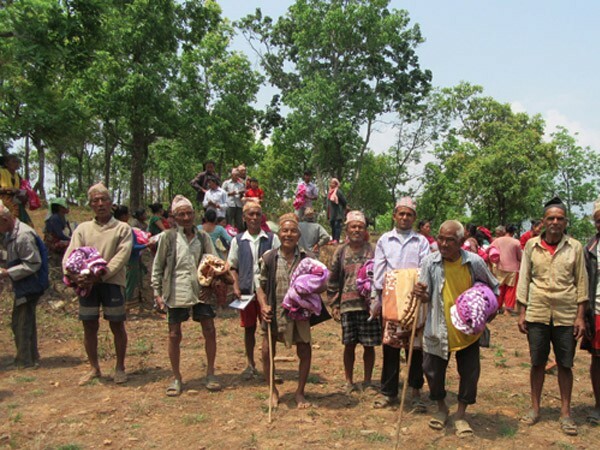 The villagers were also so thankful to receive warm blankets from Bijaya's team. They have faced needs like this since the earthquake and haven't received much help. 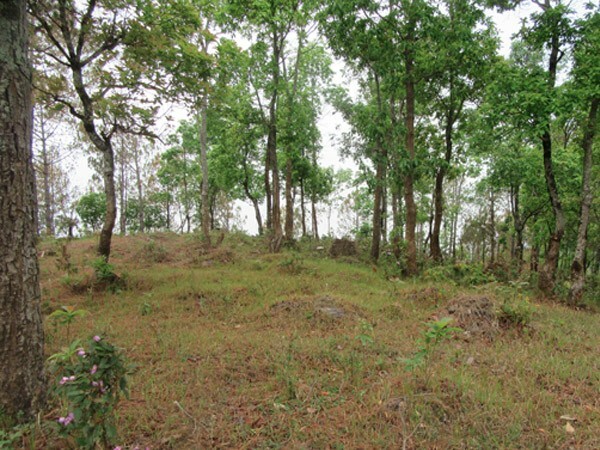 Praise God that Bijaya was led to this place to preach a life-giving message and to care for the many souls on that mountain! Pray that the Father draws those precious souls to Himself through the ministry of the Holy Spirit and through His written Word.